Successfully Added Elephone G4 Smartphone - 5 Inch 1280x720 Screen, MTK6582 Quad Core CPU, 1GB RAM, 4GB Internal Memory, Android 4.4 OS (Black) to your Shopping Cart. 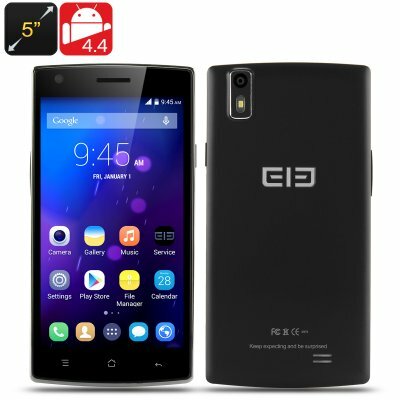 The Elephone G4 Smartphone has a 5 Inch 1280x720 Screen, MTK6582 Quad Core CPU, 1GB RAM, 4GB Internal Memory and an Android 4.4 operating system. “Keep Expecting and be surprise” is how Elephone is describing its G4 model smartphone. Marketed as a budget phone but designed with a quad core processor and a HD display, this smartphone is offering a lot for little cost. The clever craftsmanship that has been put into this is very noticeable as the radian design makes it comfortable to hold in the palm of your hand. With a 5.0 inch HD screen that implements IPS technology so you get a great view from any angle as well as enjoying better visuals due to the phone having 1280x720 pixel resolution. Expect and receive great performance thanks to this 5 inch phone housing a MTK6582 quad core processor, which is capable of running even the most demanding applications and games that you may have downloaded from the pre-installed Google Play store. Android 4.4 is the operating system of choice and has been specially optimized to use less storage space that its predecessor. 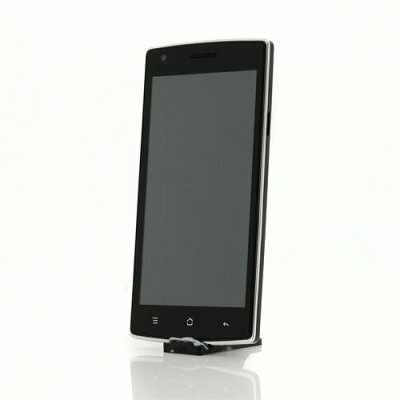 There is even gesture recognition present on this phone too where you can double tap the screen to wake it up. Then you can set your customized gesture as short cuts to open certain functions such as camera, torch, messages, caller and browser.